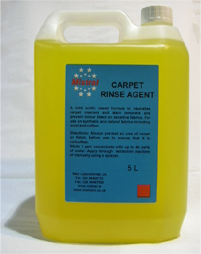 Always pre-test an area of carpet before use to ensure that it is colourfast. Dilute 1 part of concentrate with up to 50 parts of water. Apply through extraction machine or manually using a sprayer.